I'm far too obsessed with nail polish but sometimes I think the obsession is more with buying it then wearing it. This could be down to my job because within 30 minutes of being at work any effort I have put into my nails has become wasted. 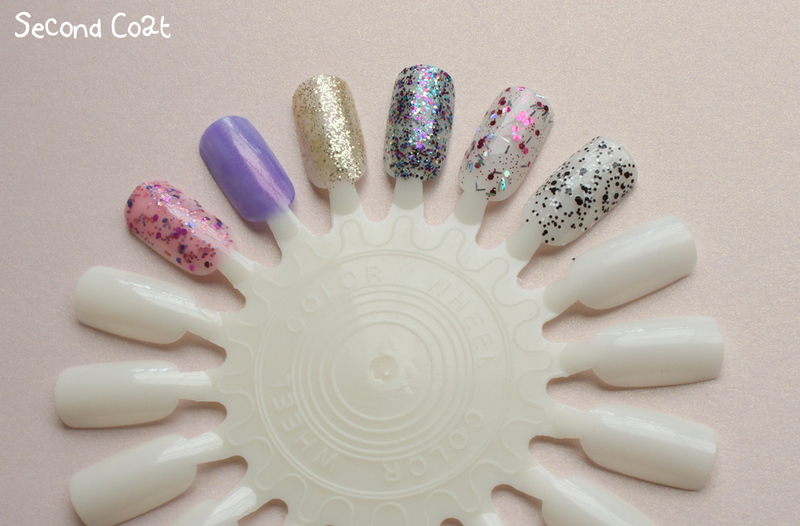 I do enjoy having a large selection of polishes to choose from though. 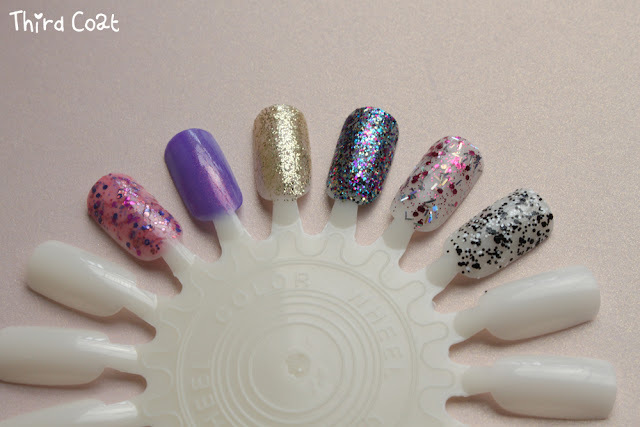 So recently I have added a few new polishes to my collection, mostly glitter polishes which we know can be a pain to remove but they're just so pretty! 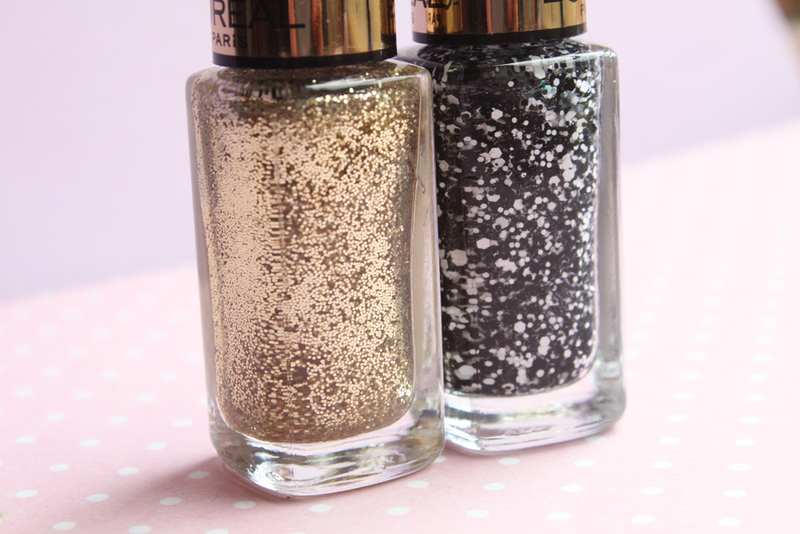 I am really into collecting unique shades and glitters, I've found drugstores* brands have been coming out with some really fun and different polishes! 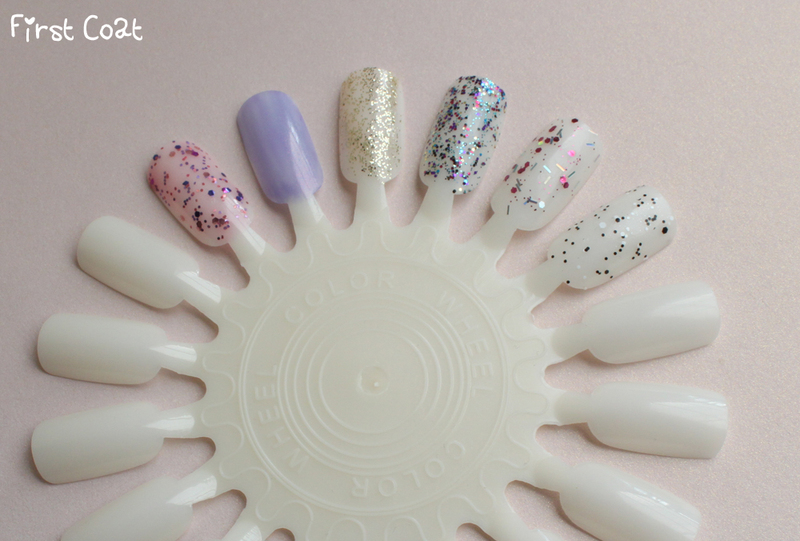 The two polishes I love the most are Confetti and Girly. Confetti I actually have to thank Mali over at Maliberry Makeup for as she is always up to date with the blogosphere and knows whats popular. So She suggested I get Confetti and use the 3 for 2 offer and even let me have the freebie (She's such a sweetheart!) 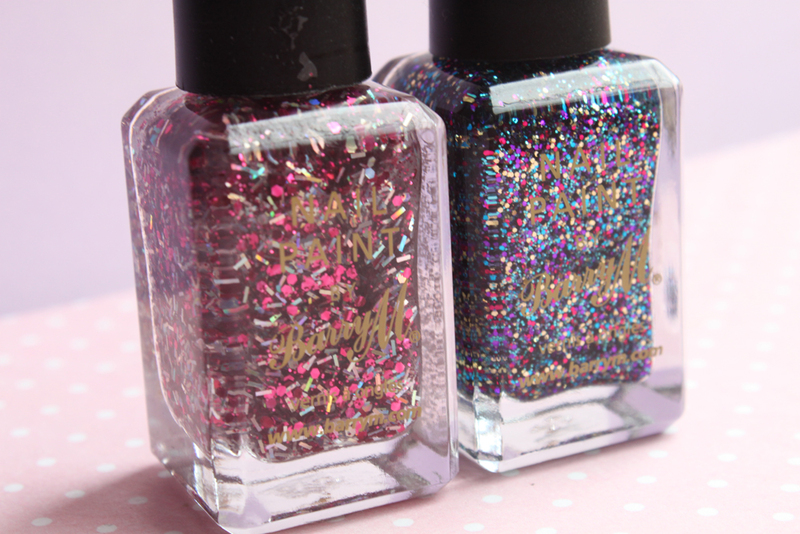 and I'm so glad I did, not only is it a really unique and special polish but it's now sold out everywhere. I've not seen it since in a single shop! 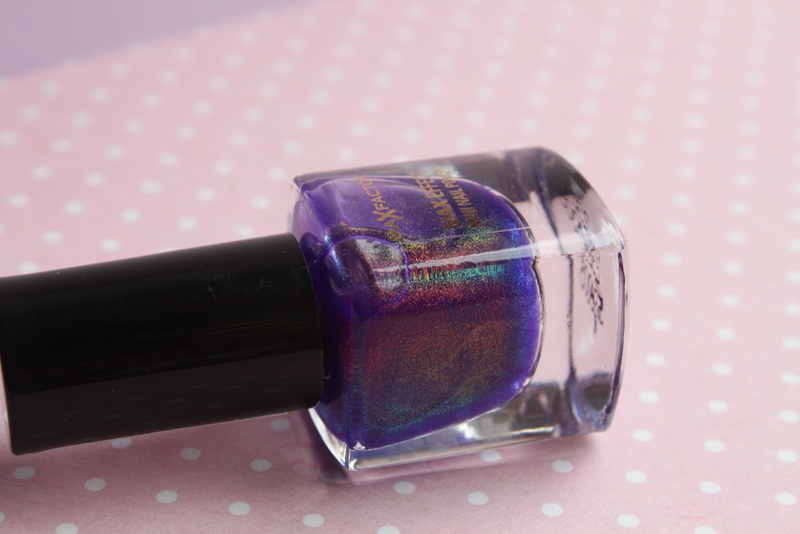 The second is girly, I was just browsing the Revlon lip products when this polish caught my eye across the stand. 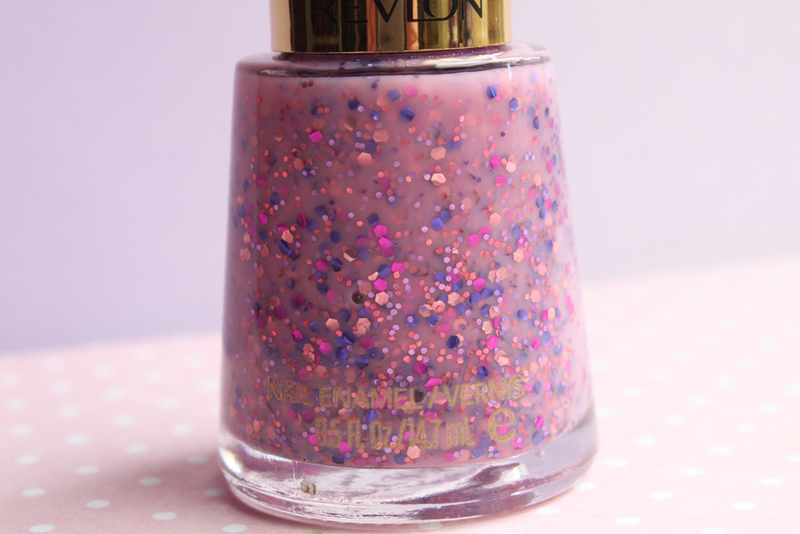 I had never seen it before, it looked so different and really stood out amongst the other Revlon Polishes so I snapped it up! It's currently sitting pretty on my nails and I love it!